Welcome to Carlsbad Hi-Noon Rotary Club! 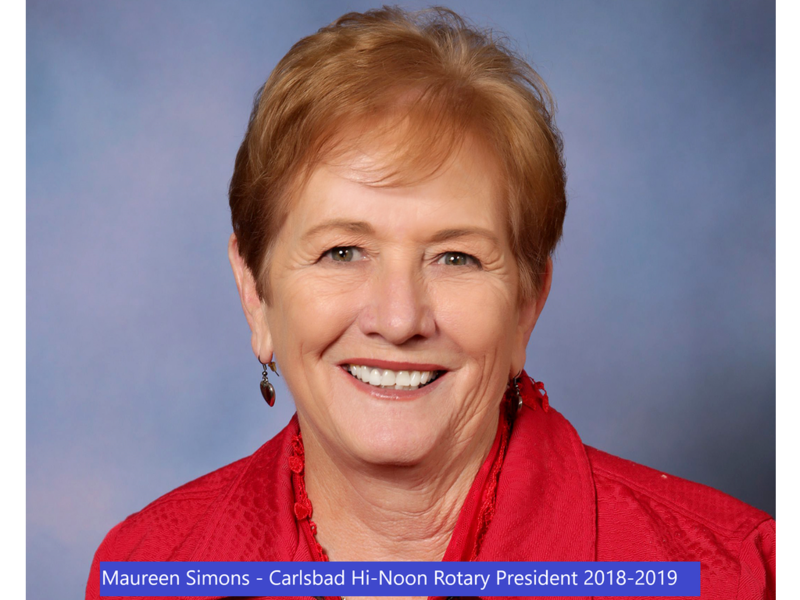 The Carlsbad Hi-Noon Rotary Club welcomes Rotarians and other visitors to its Monday meetings. A buffet lunch with salads and hot entrees is open at noon, with the business meeting beginning at 12:20 pm. We meet at the Westin Carlsbad Resort and Spa, 5480 Grand Pacific Drive, Carlsbad, CA 92008. The Club, chartered in February 1980, has over 100 members. The membership is very active and committed to the Rotary principle of "Service Above Self." The club sponsors an energetic Interact Club at Carlsbad High School and each year sends both facilitators and students to the annual RYLA (Rotary Youth Leadership Award) conference for high school juniors and the Rotary LEAD symposium for eighth graders. The club sponsors Oktoberfest held the first Saturday in October in Holiday Park, Carlsbad. A traditional family event, this year marks the 36th anniversary of the Oktoberfest. Proceeds from Oktoberfest are shared with Carlsbad charities and used by the club for its many local community projects. The club sponsors an annual "Brewfest" in September in Holiday Park with over 30 craft brewers. Additionally, the club also supports the AVID program at Carlsbad High School with a business and ethics conference, a literacy project and book fair at Jefferson Elementary School, organizations in Carlsbad assisting the homeless, the Carlsbad Educational Foundation, Hospice of the North Coast, The Assistance League of North Coast, Casa de Amparo, the North County Food Bank, the Veterans Association of North County, La Posada, Stand Up for Kids, the Carlsbad Boys and Girls Club, the Women's Resource Center and the CHS Music Festival. VISION STATEMENT FOR 2018-2019. 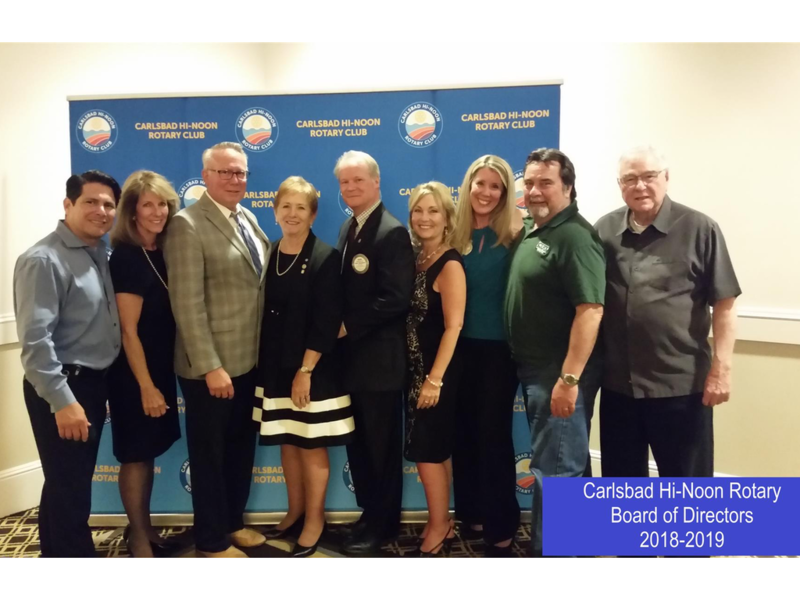 Carlsbad Hi-Noon Rotary provides opportunities for service, leadership, friendship and personal growth. MISSION STATEMENT FOR 2018-2019. By emphasizing "Service Above Self" the club selects programs and projects which enhance the global community, build relationships, provides fellowship and encourage personal growth. The club's emphasis is on community service and leadership development both in young people and its members. Club Service involves hands-on local projects as well as Rotary International projects with a special emphasis on housing/shelter, the environment, improved water and sanitation and/or healthcare needs. Treatment of the musculoskeletal system, the only natural way to build bone density.